PUTRAJAYA: The Public Service Department (PSD) will table a full report on the issue of 63 students who applied for scholarships to pursue further studies overseas in the next Cabinet meeting. 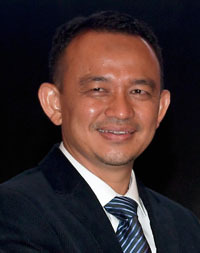 According to Education Minister Dr Maszlee Malik, he had also brought the matter to the Cabinet meeting last week. “I will constantly monitor and ensure that the students get financial aid to further their studies,” he said in a statement here yesterday. It was reported that the 63 students were seeking scholarships from PSD to study overseas. They had submitted their petition three months ago and were told that they would have to wait for the paper to be presented to the Cabinet. According to reports, the students however have not received any feedback from PSD, after the department said that it was waiting to present the paper to Cabinet. Maszlee said he sympathised with the students over the situation but the ministry also understood the financial constraints faced by the PSD. “I am sure that with the cooperation of all parties, this issue will be resolved,” he said.